I’m not sure I ever thought much about Kentucky as a vacation destination. I’m not one to scoff at any state as not worth visiting, but Kentucky just never really ranked too high on my wish list of places to go. Honestly, I’d never really been to Kentucky–it’s always just been a place we drove through to get somewhere else. Though I have to admit I always enjoyed the view; I love horses, how could I not. And of course, Louisville always calls to my baseball-loving heart, but we always figured that’d just be a stop on the way to somewhere else. But if you know me, you know that I cannot turn down an adventure. So when a friend asked if I was interested in a road trip to Kentucky for some bourbon tasting, I jumped at the opportunity. But in the back of my mind, I was thinking, really? A girls’ trip to Kentucky? Our little weekend adventure was a section of the Bourbon Trail with home base being Shaker Village of Pleasant Hill. 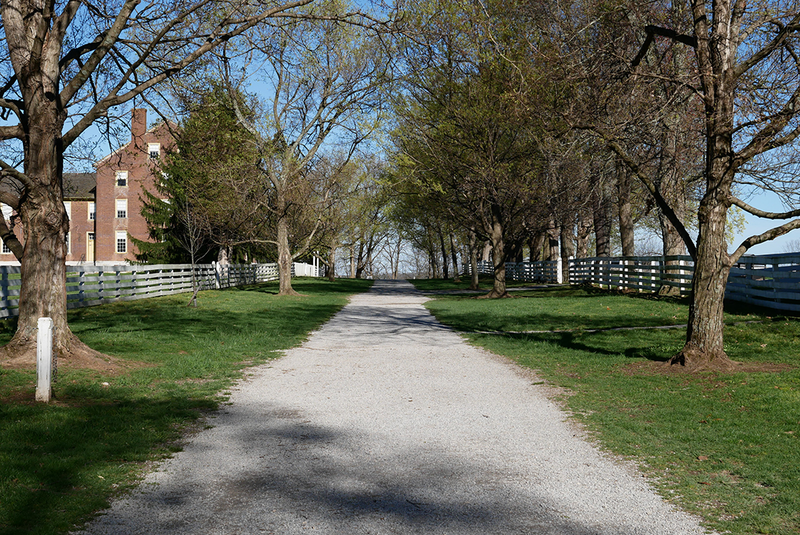 And while the bourbon was interesting, what I really fell in love with was Shaker Village. When I learned where we were staying, I envisioned something quaint and historical. Reminiscent of Arrow Rock that I grew up visiting as a child in Missouri and Greenfield Village here in Michigan. Ultimately, all I got right out of that is that it’s been restored to about the same time period. I expected the focus to be on time-period crafts and presentations, and that’s where I was totally wrong. While they do have some of that, it’s much more about inspiring simplicity, exploration, and ingenuity for current generations. 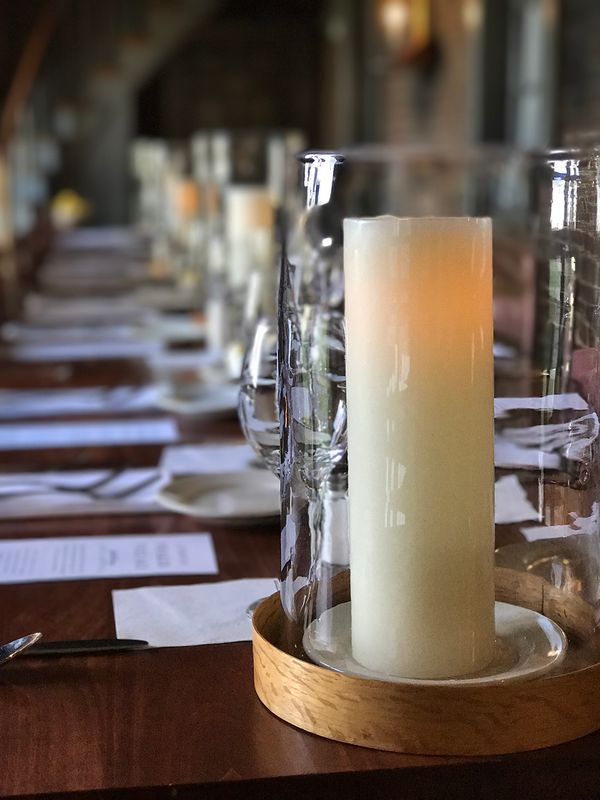 Our group of Moonshine Mamas consisted of women (and one wonderful gentleman) from many different areas with lots of different interests and yet everyone was charmed and found a multitude of interesting things about Shaker Village. Yes, they were an offshoot of the Quakers. More specifically, the celibate offshoot. Which explains why there are only two remaining members of the Shakers at this time (they live in Maine if you’re curious). The believed in equality of race, gender, and class. When you think about that in the early 1800s, it’s pretty radical. Each Shaker village was governed by two men and two women and the color of your skin did not matter one lick if you wanted to join their Family. And actually, they believe that Jesus will return as a woman. But when it came to gender (and only gender) they held squarely to separate but equal. That’s why all of the buildings have two doors, one for men and one for women! They were America’s earliest intentional minimalists. They believed that earthly goods should not distract one from worshipping God. This led to only having things which were useful, and keeping to very simple designs in everything they made. But that’s also where that whole celibacy thing came in, too. Can’t have anyone being distracted from worship! They embraced technological advancement. I think this was probably one of the most shocking realizations. And the most exciting. One reason we equate Shakers with the Amish is because many of their villages have been restored back to the mid-1800s. It can be a little confusing. But in reality, the Shakers were pioneers and really don’t get enough credit for their advancements. 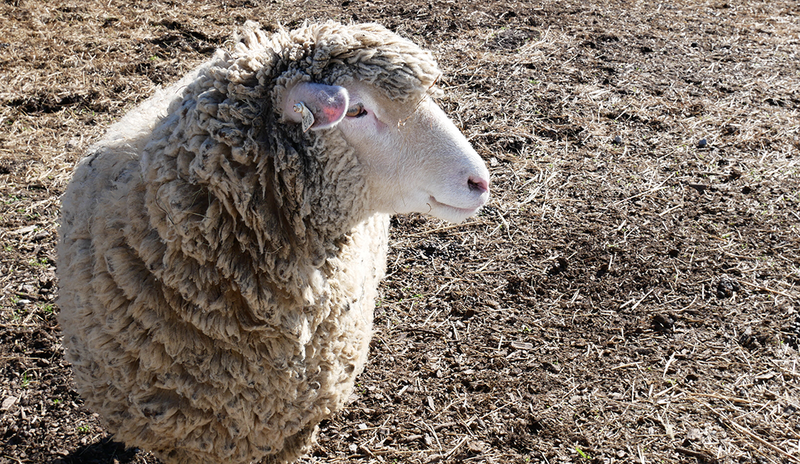 Flat brooms, circular saws, labeled seed packets, and even practices for improving livestock herds are all straight out of Shaker villages. Oh, and the Shakers had indoor running water before the White House! They lived a communal life. Everyone was equal, no one “owned” anything after their first trial year. Everyone pitched in to do their part and jobs rotated every 6 weeks. In return for doing their job and keeping to their rules, they were cared for and educated. They also were a safe haven for nearby farmers in harsh winters. They called these families “Winter Shakers” as they would enter the first-year trial community as winter came and leave again in the Spring if they didn’t think their farm would support them through the colder months. While the Shakers weren’t fond of these people, they did allow them to do this for a handful of years before refusing to enter their names in the books again. And really, I could keep going, I could. I find the Shakers extremely fascinating. 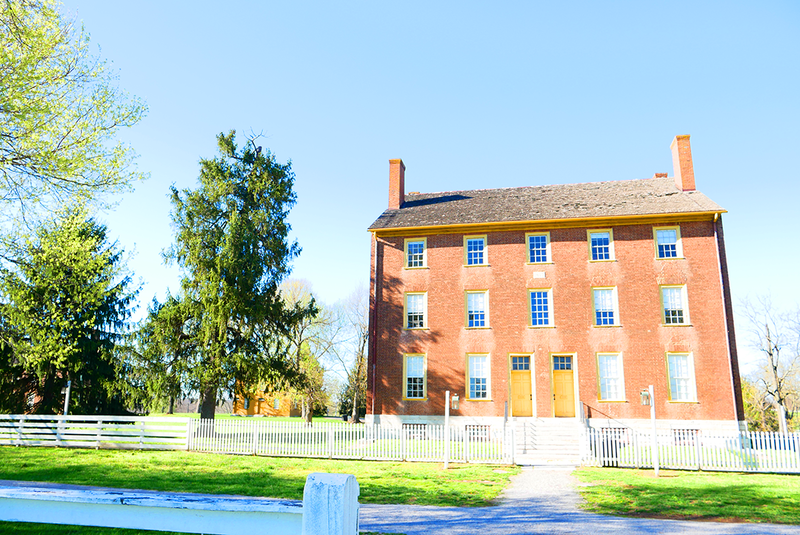 But if you want to learn more, I highly encourage you to research and visit a Shaker Village. You may have one near you if you live in the Northeast, but I lovingly recommend this trip to central Kentucky! Now for the super fun part. Since it’s a restored historical community, you’re probably wondering what makes it a relaxing, eco-friendly getaway. Well, everything! 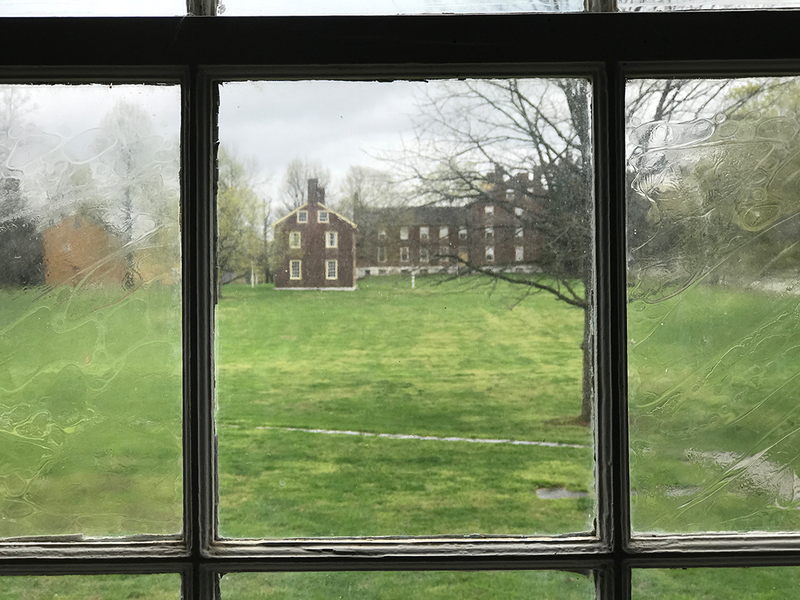 The Shakers lived very much in harmony with the land and that tradition has been wholeheartedly carried on by Shaker Village of Pleasant Hill, a private nonprofit that was founded in 1961 to restore the community. 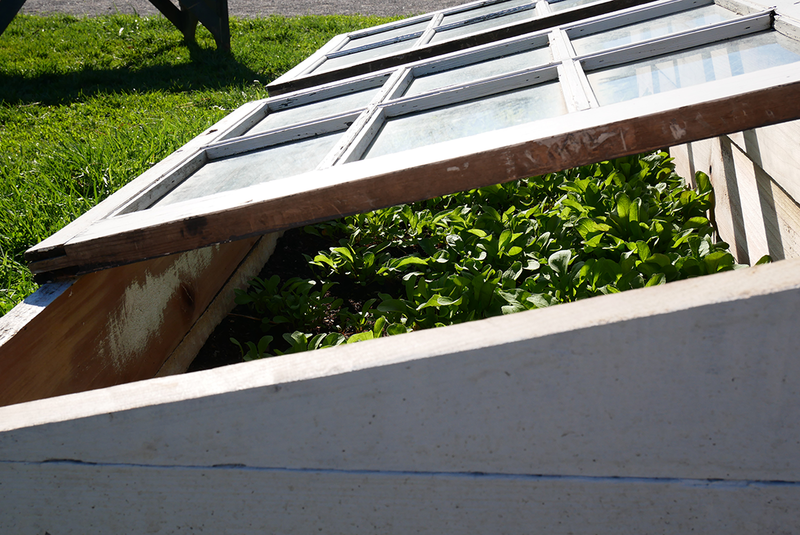 Back Yard Sustainability – Perhaps what I was most excited about, not only does Shaker Village work to make sure they are using eco-friendly and sustainable practices, but they offer many education opportunities and programs to help visitors implement the practices at home, too. 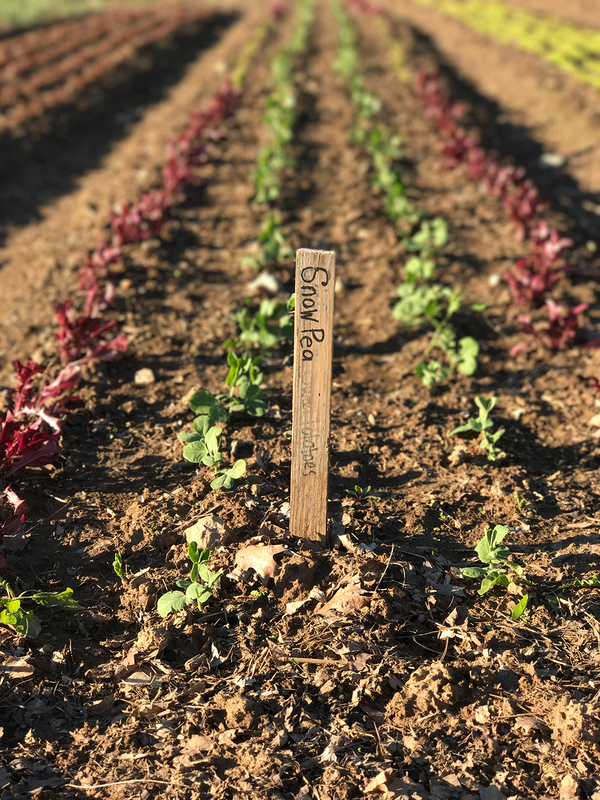 From farm-to-table foods to organic gardening and every detail in between. Interested in learning about beekeeping? They do that, too. I love that they aren’t just there to be seen doing it, but they want to educate the community, too. Eat at the Trustee’s Tables. You can look right out onto the garden that’s growing a good portion of what you’re eating. I’ve eaten at many farm-to-table eateries, but this one takes the cake. The gardener and head chef work together to plan the garden and meals and the results are mouth-watering. They were very accommodating for Celiac, but I have to say I was more than a little jealous watching the rest of our group eat the fluffiest, yummiest looking biscuits I have ever seen at breakfast. Do go down and enjoy Shaker Landing and a ride on the Dixie Belle Riverboat. I didn’t get a chance to do this and I sorely wish I could have. Other fun activities: they have a 40-mile mutli-use trail system, a ton of daily adventures, seasonal events, Explorer Summer Camp, and my personal favorite, Stand Up Paddleboarding and Yoga! 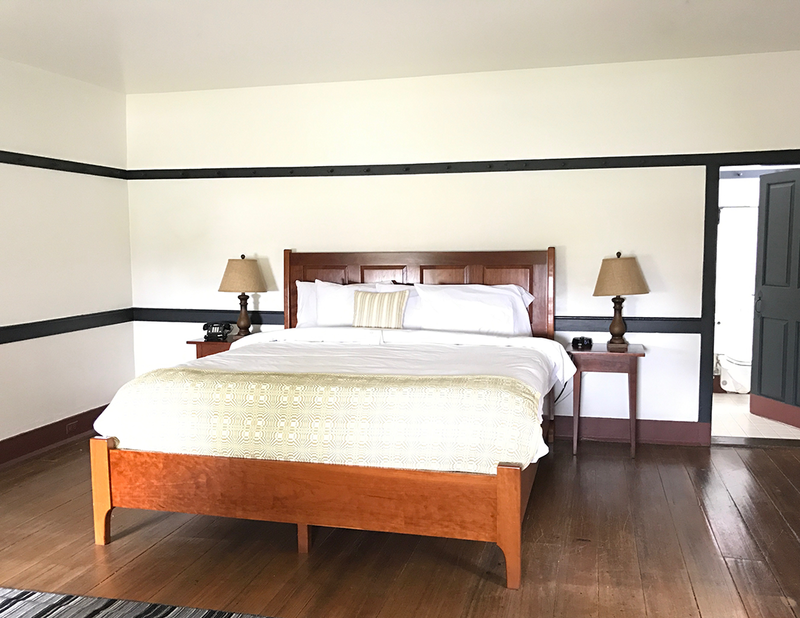 Your pictures do Shaker Village justice. Gorgeous. Whether you go for bourbon tours or to make brooms and run the farm at Shaker Village, it’s an enthusiastic recommend for families. It was a pleasure learning from Rick during the time there so my photos could shine that Shaker Village beauty! We’re very excited to take the family there when we start our long road trip next year!